Black-Eyed Susan | Gurney's Seed & Nursery Co. Striking color contrast! 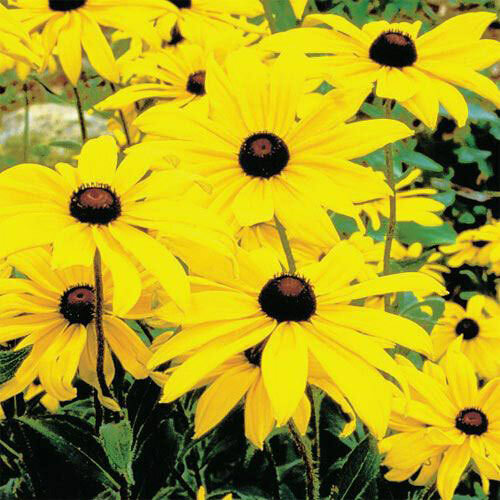 Layers of sunshine-bright copper-gold petals radiate out from a large, dark center. Blooms heavily from midsummer to frost; grows 2-3 ft. tall. A longtime favorite for cut bouquets. Spreads to fill an area fast. Easy to grow—tolerates a wide range of conditions but prefers full sun and well-drained soil. FoliageCoarse, dark green lanceolate to ovate leaves, 3 - 6 inches long. Flower FormDaisy-like flower heads 1 - 2 inches. ColorGolden-yellow with nearly black centers. BloomsMid-Summer to frost for several weeks. 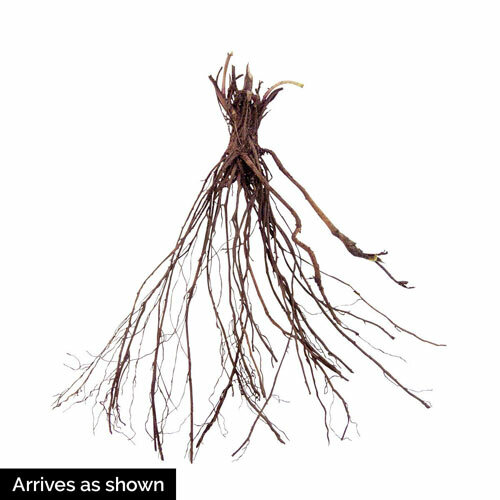 Soil RequirementsWell-drained, moderately fertile soil. Growth RateFast once established which takes approximately 4 - 6 weeks. PruningAfter flowering, remove spent blooms to encourage repeat blooming. Allow foliage to die back. CommentsStiking color contrast. Blooms heavily from midsummer to frost; grows 2-3 feet tall. A longtime favorite for cut bouquets. Spreads to fill an area fast. Easy to grow-tolerate a wide range of conditions but prefers full sun and well-drained soil. One of the few perennials that keep blooming until frost. DepthPlant with crown just below the soil surface. Firm well and water in thoroughly.